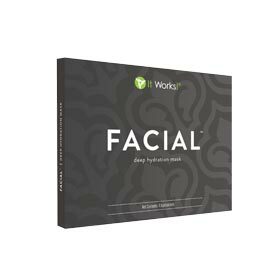 Turn back the hands of time with our exclusive Facial Applicator –It really Works! A cream-infused cloth wrap that delivers revitalizing benefits to the face for intensive rejuvenation of the skin. It also minimizes the appearance of fine lines and wrinkles after 45 minutes. Softer, smoother, hydrated skin with a healthy glow. They’ll never guess your age!